Product Consists : Bouquet of 12 Mix Roses with some green fillers in a cellephone wrapping with a matching bow along with New Year Greeting Card. Hearts and flowers never fail to impress. 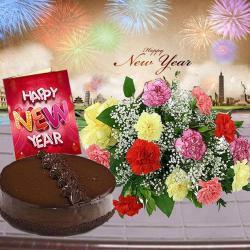 If you are looking for a fantastic gift to send to your special one on New Year then nothing would work better than this mind blowing gift hamper. 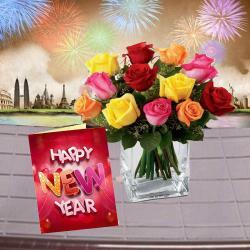 It consists of a bunch of 12 romantic roses in mixed colors like red, pink, yellow and white. 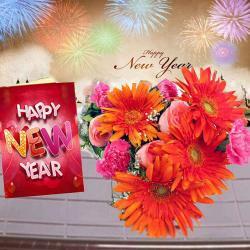 A sumptuous New Year greeting Card with heartfelt message of Happy New Year is also teamed with this wonderful gift combo. 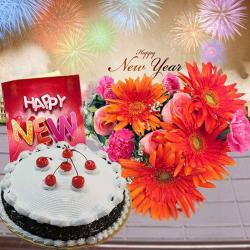 So reach out to them on New Year with such incredible hampers and strengthen your bond with them. 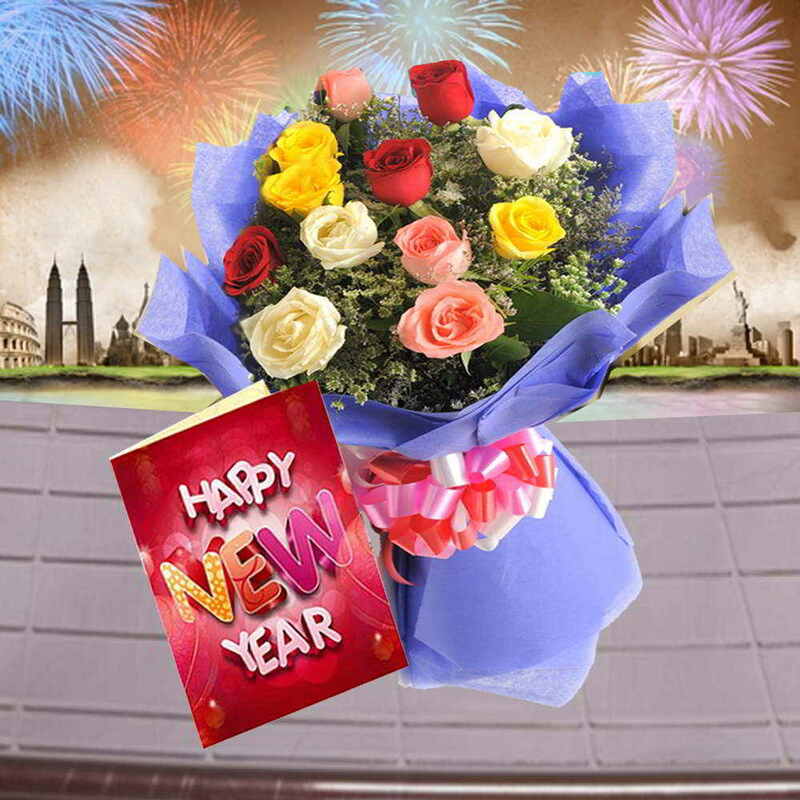 Product Consists : Bouquet of 12 Mix Roses with some green fillers in a cellephone wrapping with a matching bow along with New Year Greeting Card.